You would think that designing, piecing, and quilting a work would be the hardest parts of creating an art quilt. For me, it is actually hanging the finished piece! I am still in search of the best approach. A desire to hang my two latest pieces in my home drove me back to the internet. I found a video by that described creating tabs for the back of the quilt. The basic approach appealed to me. I could run a dowel through the tabs and either hang the piece with a single nail or wire/string attached at two points. 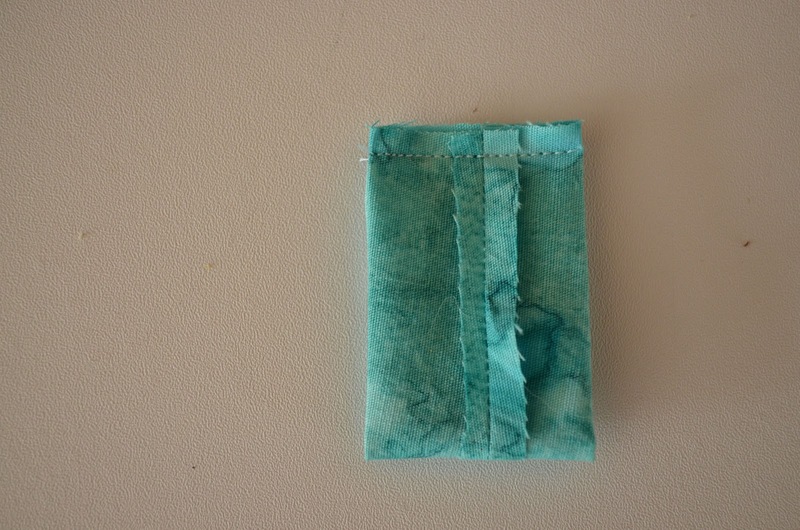 Then press out the seam, rotate it to the center of the column, fold in half, and sew the ends together. You then turn it inside out and attach it to the back of the art quilt. What I liked about the dowel approach with tabs is that I have quite a bit of flexibility on how I hang it - from a central place, or in two spots along the dowel, or even if I set the tabs a bit lower - it could be hung with picture hanging wire. I would guess that you could create significantly larger tabs and your tabs could serve the same purpose as a sleeve for a quilt show and then come home and be hung more as a picture. In any event, I now have a few more of my art works hanging in our home. That feels good! Oh, now I like this! Sometimes the pleat one has to put in a sleeve means that the sleeve creeps up to be seen above the top of the quilt. Doesn't look like that would happen with the tabs. Do you just prop the piece on nails in the wall? Yes, Margaret, I am just hanging on nails. I am doing something similar to a pleat with the tabs, I guess. 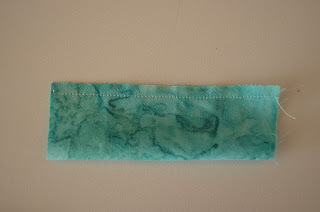 If the completed tab is 2" long, I sew the bottom of the tab so the tab is about 1 3/4" or so. 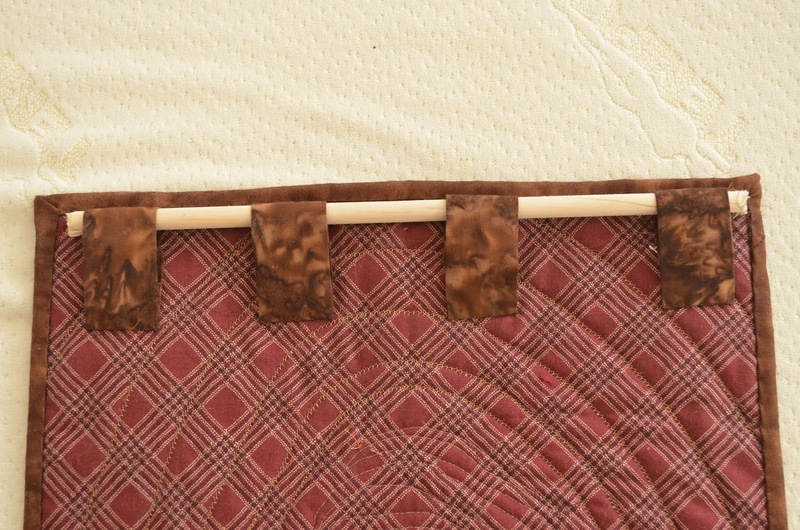 That allows for the tab not to pull the top of the quilt back. 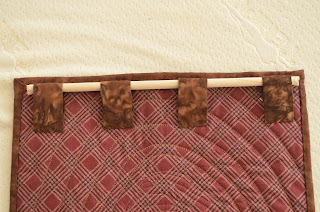 It is easy to make sure that it won't create that problem of the tab being seen over the top of the quilt - just make sure the tab is mounted far enough below the top of the quilt so it couldn't possibly be seen. I think this is easy to estimate with tabs.